Cemetery Cider is, as you might guess, an apple cider-based drink recipe. 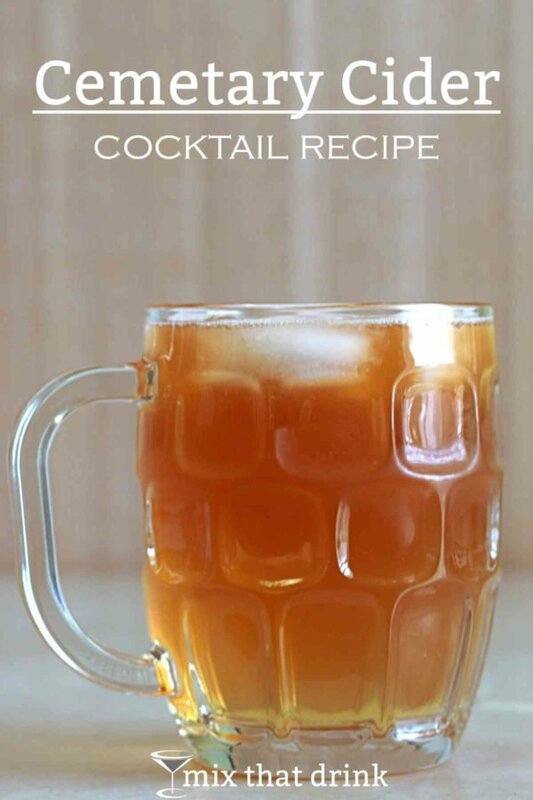 It’s a bulk recipe, like a lot of cider cocktails, but you can also make it by the glass. Think apple cider with spices and orange, and you’ve got an idea of the flavor of Cemetery Cider. This is a great drink for mixing up in a pitcher before a party, because you don’t have to shake it all up if you’re going to chill it. You can still shake up the liquors, if you prefer the taste, but with two-thirds of the drink being apple cider, I don’t think it makes much difference. You just pout everything into a pitcher, give it a good stir, and let it sit in the fridge. That makes it easy to top off your guests’ glasses, if you’re entertaining. Or you can even let guests help themselves. But if you want to make this one by the glass, it’s easy. You just change the ratios: 1/2 ounce of each of the three liquors, and 3 ounces of apple cider. 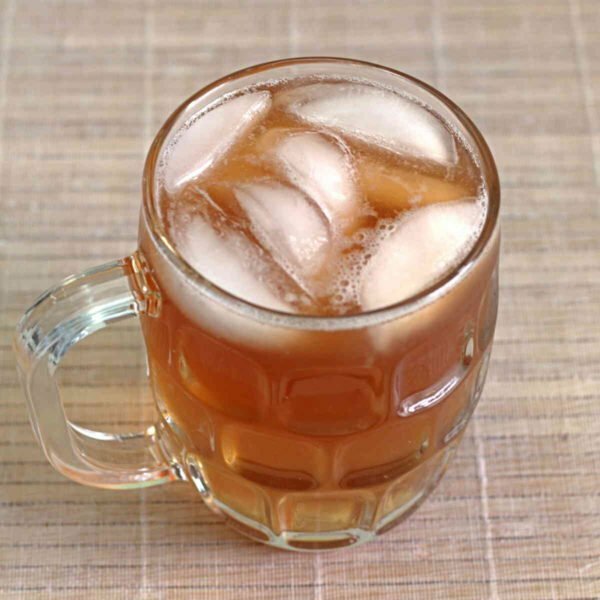 If you like the idea of this drink, but want something a little simpler, check out Snitchee’s Cider, which features spiced rum and apple cider. And Bri’s Almond Cider is even lighter, with just amaretto and apple cider. Note that this drink calls for plain, flat apple cider, not sparkling cider like Martinelli’s. You could also try a spiced apple cider for even more of that spice flavor. Fill a cocktail shaker with ice and pour in the liquors. Shake until chilled, and then pour in the apple cider. Stir, but just a little. Pour the mixture into a beer mug.